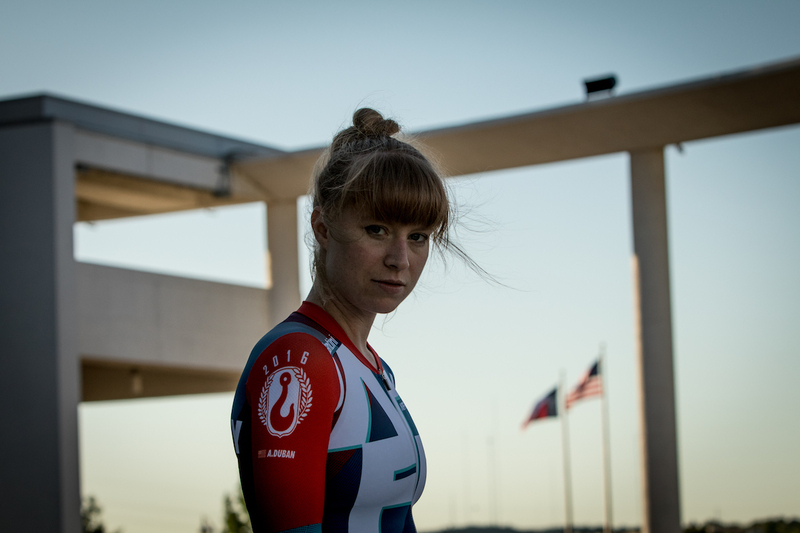 Presenting the totally new skinsuit for the 2016 Red Hook Criterium series Champion Ash Duban. 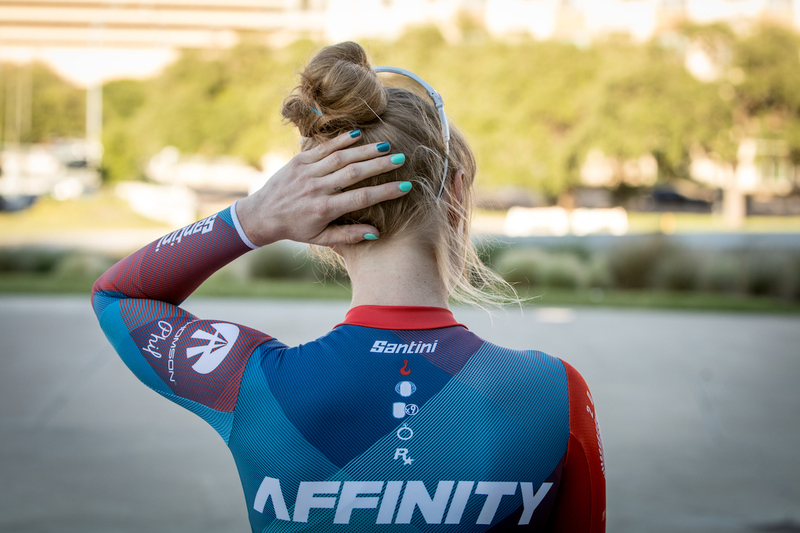 Santini will be providing technical clothing for Ash and her teammates of Team Affinity on her 2017 campaign to repeat. 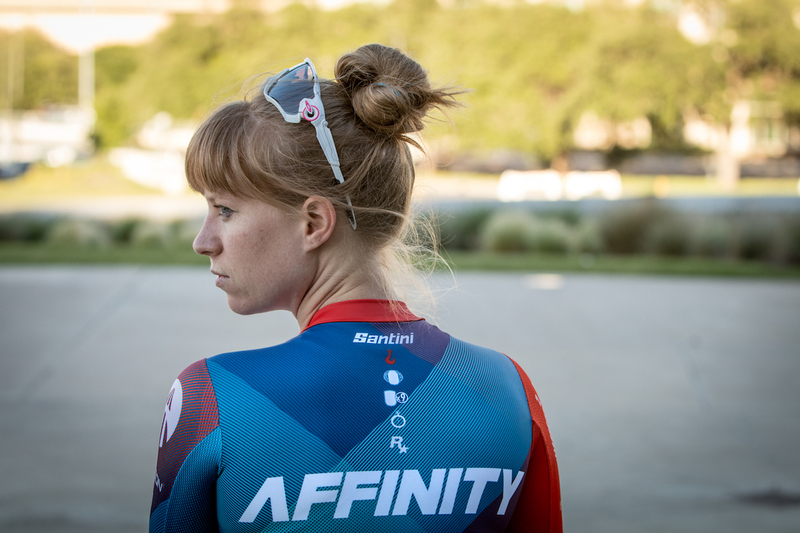 Ash is an extraordinary athlete that rides over 50 road races per year in the USA in addition to her fixed crit racing. Originally from Ohio, she is currently based in Austin, Texas and works full time for one of the top advertising agencies in North America and has a strong passion for photography which is on full display on her Instagram profile. The new skinsuit features a sleek aerodynamic cut with with french cut collar. The fabric used for the upper and lower sections is the Italian made Lycra Monica with Swanwarp fabric for the sleeves. 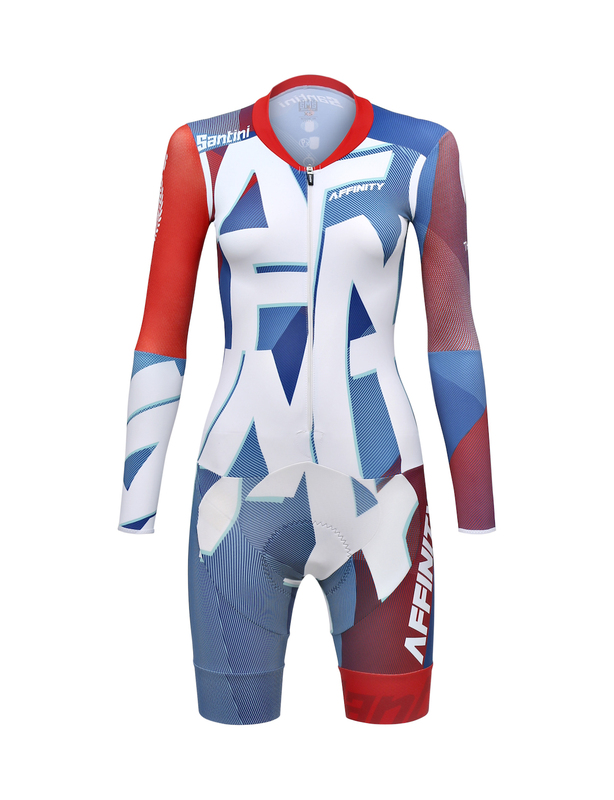 The skinsuit features the female specific C3W chamois.